Whole grain apple muffins made with fresh apple, applesauce, walnuts plus a combination of bran flour, white whole wheat and almond meal with a granola topping. It’s apple season and I picked up some gala apples at the farmer’s market last week to make a great big batch of crock pot applesauce. 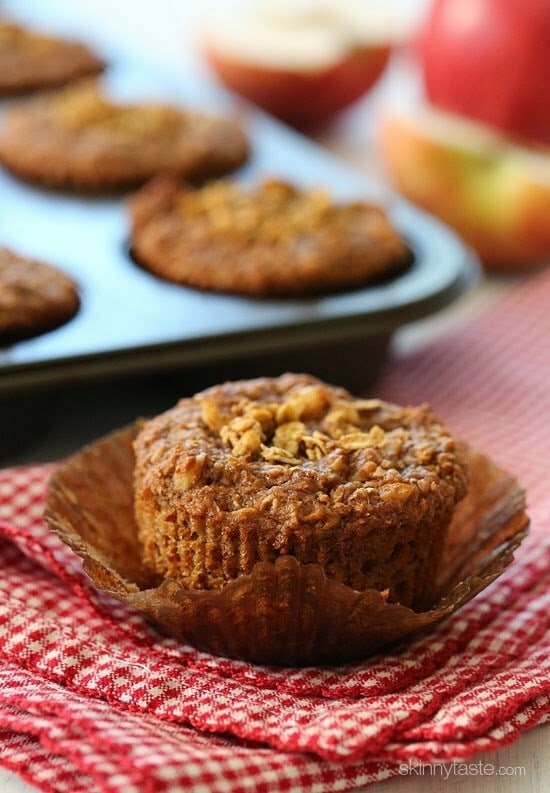 Last year I used that applesauce to make an applesauce nut bread which I love, and it inspired me to experiment with almond meal, wheat bran and flax to come up with these delicious muffins. I love how moist they turned out, and I saved the extra in my refrigerator to eat for the week – they stayed moist for days! 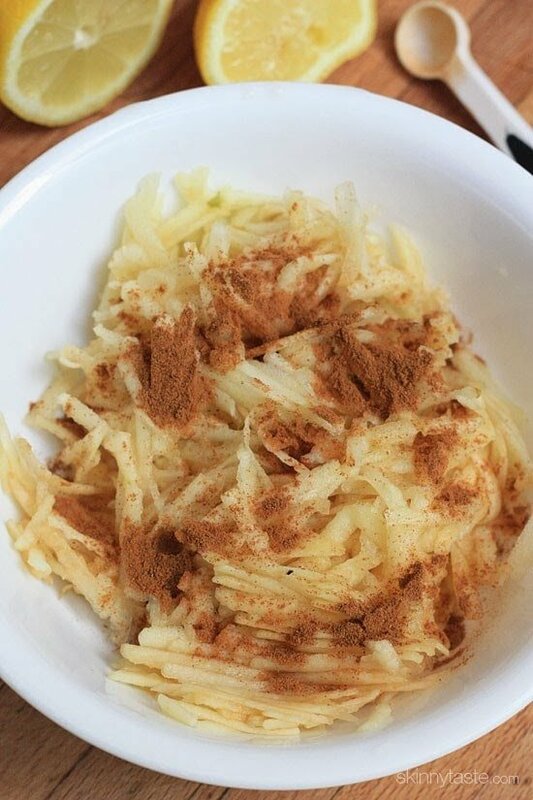 In a medium bowl combine grated apple, 1/4 tsp cinnamon, honey, and lemon juice. Set aside. Preheat oven to 350°F. Line a muffin tin with liners and lightly spray them with cooking spray. In a medium bowl, combine flour, bran, almond meal, flax, baking soda, nutmeg, cinnamon, and salt with a wire whisk; set aside. In a large bowl mix applesauce, coconut oil, egg whites, sugar, and vanilla; beat at medium speed until thick. Scrape down sides of the bowl. Add the flour mixture, then blend at low speed until combined. Do not over mix. Fold in apples and walnuts. Pour batter into muffin tins and top each muffin with 1/2 teaspoon of granola, then bake in the center rack about 35 minutes, or until a toothpick inserted in the center comes out clean. Let them cool and serve room temperature. I just made these last night! I have apples and homemade skinny taste apple sauce from my apple picking bounty in September! I like the idea of the different dry ingredients for added fiber. I just ground my own almond meal from raw almonds, and ground my own flax seeds. For my tastes the muffins were way too sweet. 3/4 cup of brown sugar combined with the sweet apple and apple sauce. I would love these oats or oat bran, and modified to taste less sweet. I am wondering if you could add some carrots, banana, & pineapple to this? Am I going crazy with this or do you think irt would be okay? I rarely post back on a site when I make a recipe, but I just have to for these. I've been making these muffins for months now, and they are my absolute favorites! They refrigerate/freeze very well, so I can make a bunch at a time and keep them on hand for quick breakfasts or snacks. So portable! I feel so healthy noshing on 1 or 2 of these! When I printed the 'print friendly' recipe, it didn't list the cinnamon in the ingredients list, so I had to go back your post here to find the amount to put into the flour mixture. I made these muffins this evening substituting rolled oats for the coarse wheat bran flour because that is what I had that was coarse:) I had everything else. They are super yummy! Thanks Gina, I always look for recipes first from you! I made these today and they were great! Can't wait to try other fruits but I do want to mention that according to the WW Recipie Builder these are 5P+ each. Nonetheless these are excellent and well worth the points. Thank you so much! Almost a week later and I'm still eating leftovers from the freezer. The taste and texture have grown on me so much that I'm prepared to call this one of my favorite muffin recipes ever. I top one with a little Reddi-whip alongside my morning coffee and feel like I'm eating apple cake for breakfast (while keeping very healthy). Love these, thanks Gina!! So thrilled you enjoyed them, it took me a few attempts to get them just right!! Can't wait to try these! Do you think they would freeze well? Just made these-delicious! My 4 year old helped and we'll be bringing them to preschool tomorrow to share at snack time. Thank you!!! These look awesome. I just finished eating a batch of your applesauce that I made last week and am planning to make another batch. I'll have to reserve most of it to make these yummy looking muffins! Thanks for sharing! I have all this on hand so will be making these soon! It's not really a lot of ingredients, especially for muffins. I think that to a lot of people "healthy" automatically means minimal. Thanks for another great recipe! WOW! Just in time for apple harvest. I have so many apples on my trees and am always looking for healthy recipes to use apples. These look wonderful and I have all the ingredients. Making them today! Thank you Gina! They look amazingly delicious!! 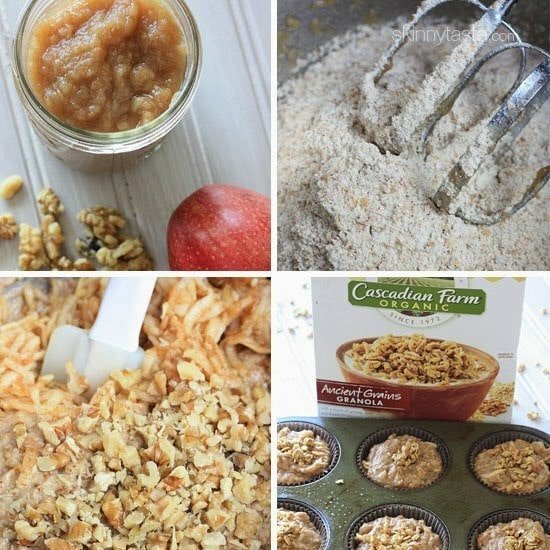 My husband loves apple cinnamon muffins and I'm always looking for ways to add more fiber. I can't wait to try these muffins!!! Thanks so much for the recipe!! I have a dietary restriction regarding nuts but I am allowed to have seeds. 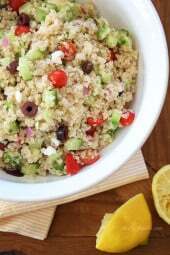 Is there another flavorful flour option I could use instead of almond? Also, what would you use to replace the walnuts? Man I miss almonds and walnuts! Love those flavors in baking but can't have them anymore. 🙁 thanks!! BTW, your site has helped me in my WW journey. I've lost 55 pounds so far AND gotten healthier in the process. You're the BEST!! I love the crunch the nuts add, so maybe a pepita or some kind of seed would be great. You can swap the almond flour for more whole wheat flour and they will be great, or maybe coconut flour! These muffins look amazing and I can't wait to try them! Thanks Silvia! I actually made them THREE times playing around with the amounts of flour and these were perfect! If you make them exactly as written, I promise you wont be sorry!! agree with that statement! Just use wheat flour for everything…Gina I LOVE your recipes and iv'e been on WW for 6 months and I have lost 35lbs..and MOST of my meals..came from your recipes! 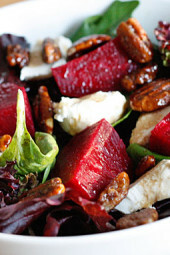 Most of the ingredients you buy you will use them again in another recipe..not a problem here! Can't wait for your cookbook! these look great!! is wheat bran flour just wheat bran ground up, like in a blender? Lately I have been wanting something a little sweet for breakfast, but not poptart sweet, and still healthy. Looks great but I am allergic to wheat. What could I use in place of the wheat bran? Thank you! My son has a nut allergy so I was wondering if I could replace the almond meal with flour? I wasn't sure if it was the same thing. These look delicious! 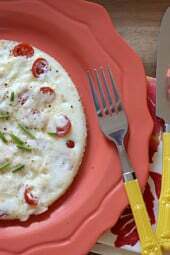 I love your site and make so many recipes of yours! Thanks! Yes, I usually make it with all white whole wheat and they are great. I'm loving all the nutritious ingredients here, Gina! Yum! Me too, plus I am always challenging myself to use new grains and flours. Right? I can't stand the complainers. If you don't want to try something, don't try it and move on. Don't force your negativity on everyone else! (And of course by "your negativity", I don't mean you!) Some of us love cooking and baking and are happy to see recipes that call for a little bit of challenge rather than the same old, same old. Isn't that how we got to a place where we need "skinny" recipes? I don’t see a person complaining so much as asking for a substitute ingredient . Stating too many ingredients isn’t being negative it’s just a statement and since all recipes can be substituted with different ingredients I view it as more of an ask. they look yummy but who has all those flours? I agree with Anon 12:25 – too many ingredients to buy but if I had them on hand I'd sure give these a try. You can replace them all with whole wheat flour if you don't want the added fiber. 3/4 "cup" coarse wheat bran flour? Just clarifying as the recipe is missing the measurement. Thank you.